Cheating on Betty: My 1800 Mile Affair. Welcome to Cheating on Betty. 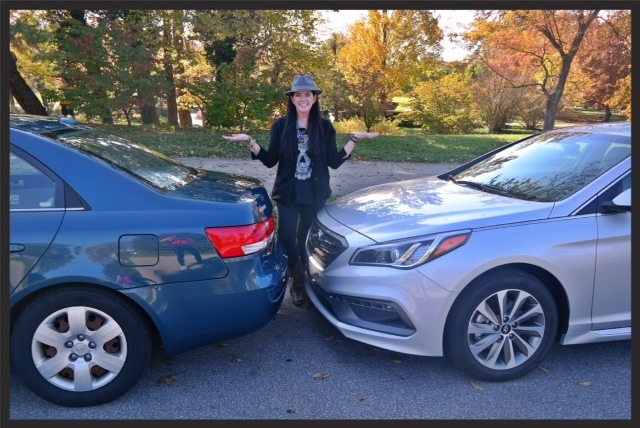 It’s about a girl and a seven year love affair with her 2007 Hyundai Sonata named Betty and an 1800 mile road trip test drive in the new 2015 Hyundai Sonata Sport. Torn leaving my 2007 Hyundai Sonata named Betty in the garage, I hit the road to see if my adoration for the same model car would continue seven years later. While I felt guilty driving away – there was a sense of excitement driving this beautifully designed sporty car with 120K less mileage on the odometer. So can Betty really beat out the brand new 2015 in some areas? Yes! If anything, I’m honest and there are some design changes I wasn’t over the moon about. 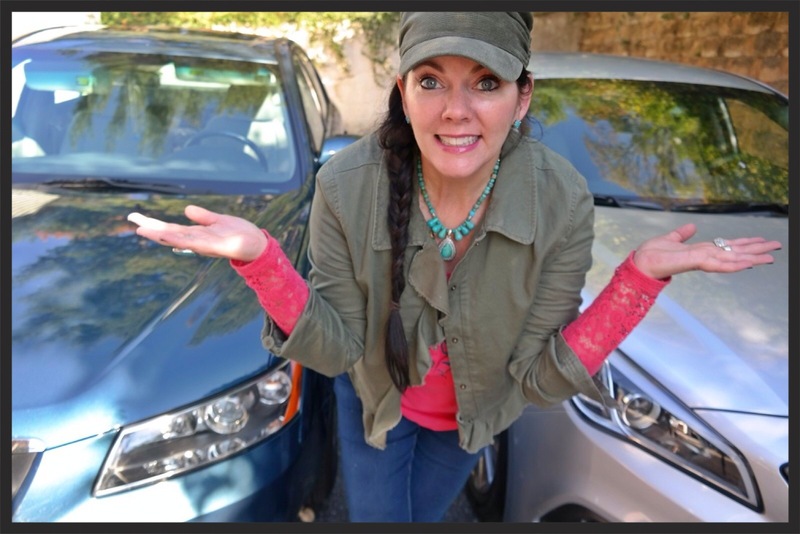 Watch here for my honest opinion showcasing what I loved and some things I didn’t love…..
A closer look at the difference in the hinges: Betty’s trunk hinge is a piston hinge and doesn’t affect my truck space. 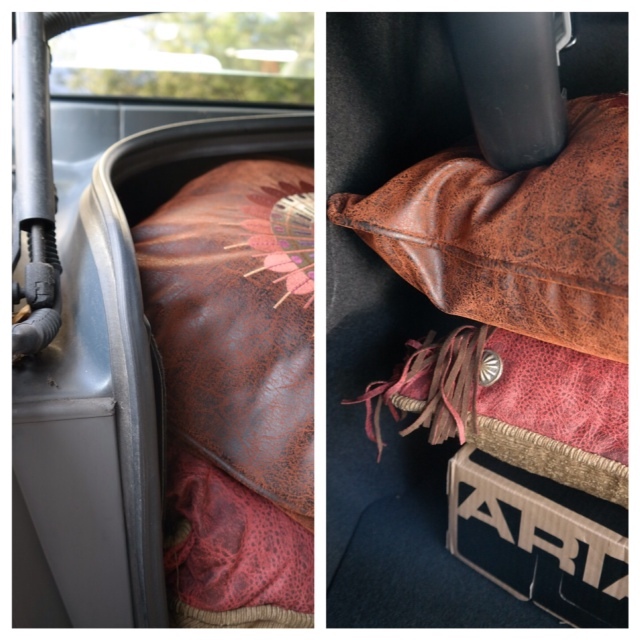 While some would argue that the piston style doesn’t have the longevity – I would argue that after 7 years and using the trunk everyday with no problems – I would prefer the piston option for ultimately more trunk space. A closer look at the steering wheel controls: As I explain in the video, the placement of the control options on the steering wheel in the 2015 are not as comfortably accessible due to placement and design. Betty has the paddles which allow me to easily and comfortably change the volume, hit mute and more. On Betty, the size & placement of the additional controls outside of the paddles are simply easier to use on both sides of the steering wheel. 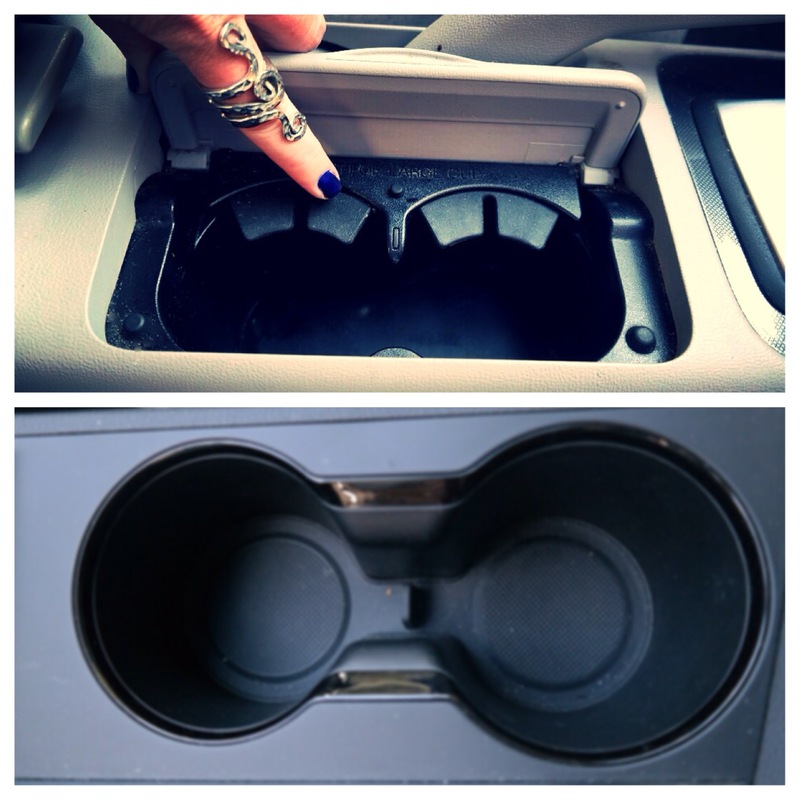 A closer look at the cup holder: Betty has an insert that allows for large or small cup containment. Lift the insert up for larger cups, push down to secure small cups. Importantly, I have never had a cup or a can rattle – having this insert allows for a variety of cups, bottles or mugs to fit securely. Finally, you can see that there is a cover option allowing for me to close off the cup holder if I choose in my 2007. I covered 1800 miles on this test drive in the 2015 Hyundai Sonata Sport hitting some gems of cities big & small across America while meeting amazing people, entrepreneurs and dream seekers. After putting 125K miles on Betty since 2007 seeing America, one thing is very clear to me; my 2007 Hyundai Sonata has been a solid, safe & reliable road tripping friend. And that is why I love my Hyundai. 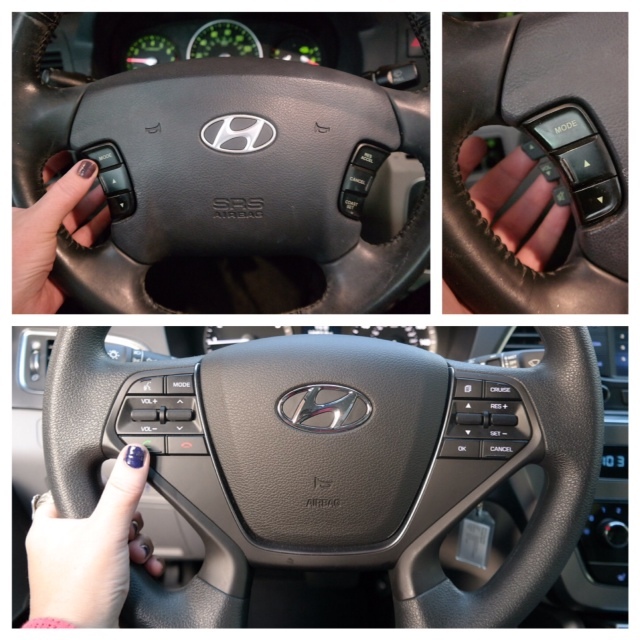 Would I trade Betty in for the new 2015 Hyundai Sonata Sport? 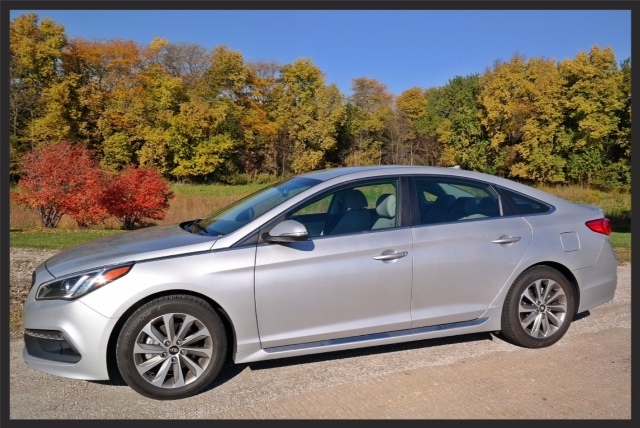 Answer: I would buy the 2015 Hyundai Sonata Sport today. I am not sure I will ever get rid of Betty, but I am looking forward to bringing the 2015 Hyundai Sonata Sport home to keep her company. Finally, I owe all credit to my Father for my love of Hyundai. 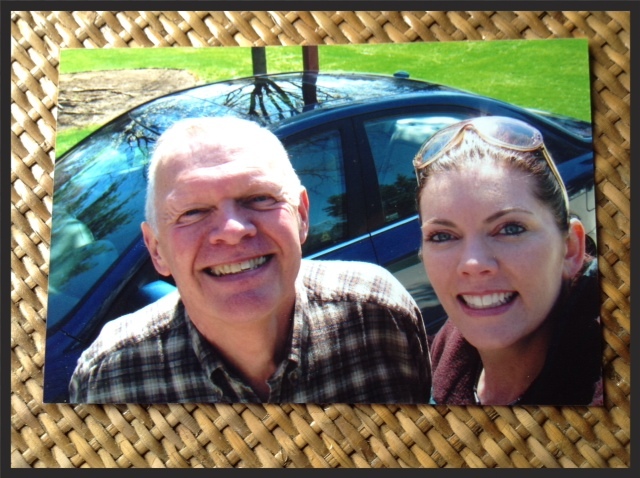 I’ll never forget that day in 2006 when he called and said “Kimmy, I found you a Korean car.” (he was so funny) I miss him terribly – as he taught me all I need to know about the importance of taking care of your car. So I dedicate this test drive and every road trip from today forward to my Dad, Woody. 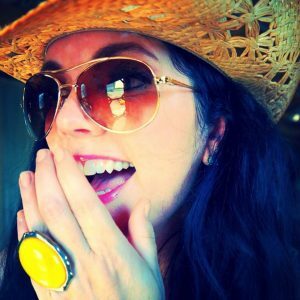 CONNECT WITH AMERICAN ROAD TRIP STYLE!